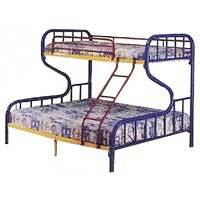 Hostel Beds are meant to accommodate more people and save space. 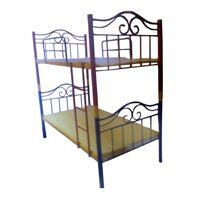 Our clients mostly residential schools and hostels are satisfied with our bunker beds, that save space and are used for a long time. Our Bunker beds are made of metal, powder coated to the color choice of the customer. 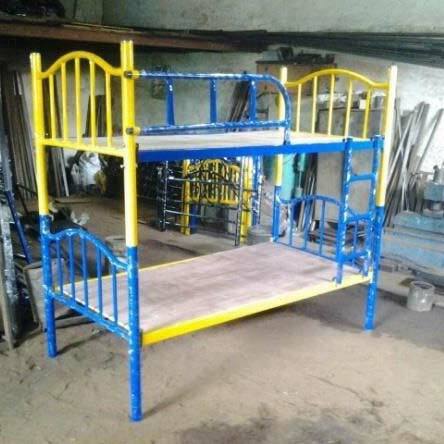 These beds can be assembled by anyone with minimum logic and can be dismantled for transport when needed. This is a lifetime investment as they can be reused by re- powder coating as per the need. 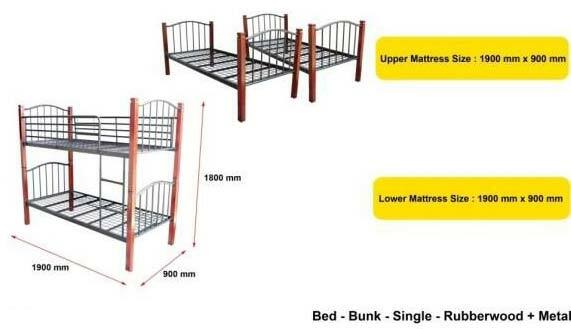 All our Bunker beds come WITHOUT mattress that can be procured locally at a reasonable price. 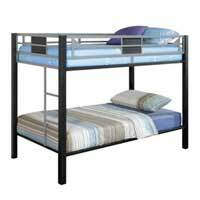 Two tier Bunker bed that accommodates 3 people. 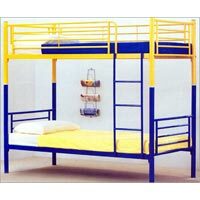 This way one can save much of the available space at a hostel or home. 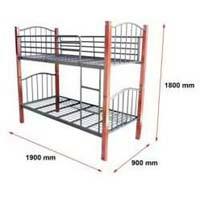 The bed is made of metal pipe that can round and/or square coated with powder in different colors. This combination is of 16 and 18 gauge metal. Easy to dismantle & assemble and can be transported easily. 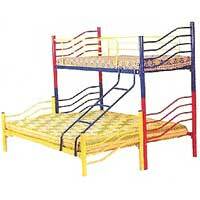 We are acknowledged as one of the chief Hostel Bed Suppliers in the country. 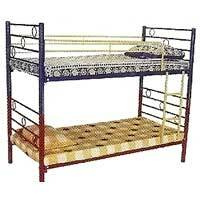 Our Hostel Bed is available in attractive design which is appreciated by the clients all over India. A simple angular Bunker that fits in most rooms or dormitories. Made of metal in various combinations of 16 & 18 gauges in both square & round pipes. 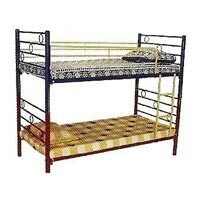 Suitable for School Hostels, College Hostels, Homes and dormitories. Available in : 2 ½ ‘x 6’ and 3’x6’. Simpler & affordable. Made in metal combination of 16 & 18 G, using round pipe. Suitable for use in most upcoming Residential schools, Gurukuls, College hostels and homes. Simpler & affordable. Made in metal combination of 16 & 18 G, using round pipe. Suitable for use in most upcoming Residential schools, Gurukuls, College hostels and homes. Available in 2 ½ „x 6‟ and 3‟x6‟.